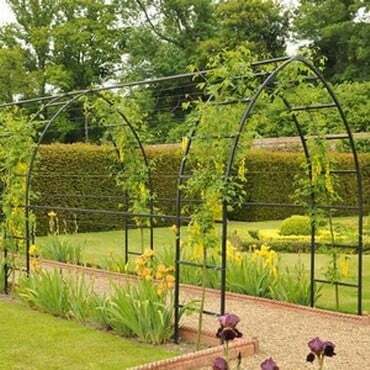 This Bespoke Tudor Linked Arch design, is based on our popular Ogee Garden Arch design, but has a unique Tudor shaped apex which offers a particularly commanding presence in the garden, perfect for displaying both climbing ornamentals and vegetables and creating a stunning walkway. 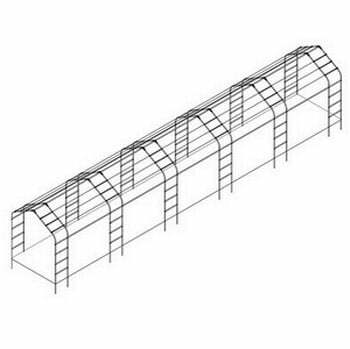 This stunning arch design consists of 6 x 0.6m deep Tudor arches, with 1.98m space between arches, to create a 13.5m long walkway. 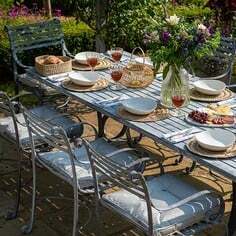 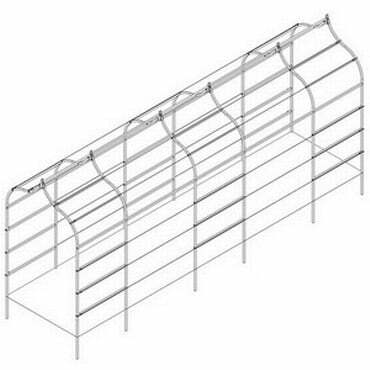 At 2.5m in height, the 6 Tudor arches are linked together with steel gripple clips and 2mm galvanised wire. 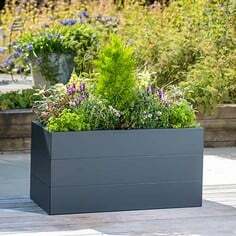 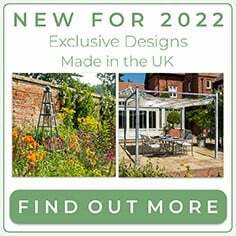 We can reproduce this design in different widths, different depths and different heights to suit your own bespoke garden design. 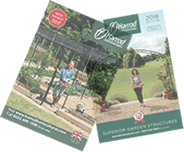 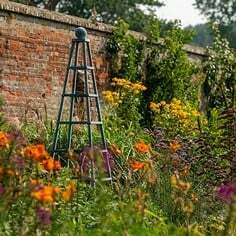 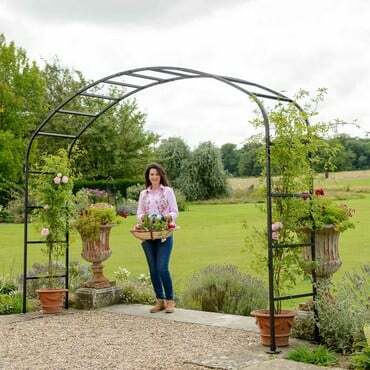 Our RHS endorsed steel garden arches all use heavy duty galvanised steel framework which is black powder coated for a stylish and extremely durable finish, we are so confident of the quality we offer a 10 year framework guarantee! The arches are supplied with flush fitting plastic-capped steel connectors and black stainless steel bolts finishing off the black powder coated look. 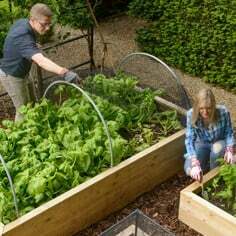 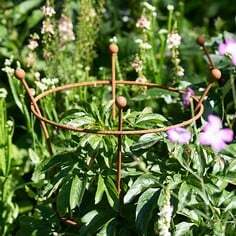 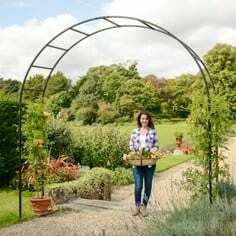 As with our other Garden Arches, the linked arches are designed for below ground installation with 40cm/16" allowed on each upright for ground insertion. 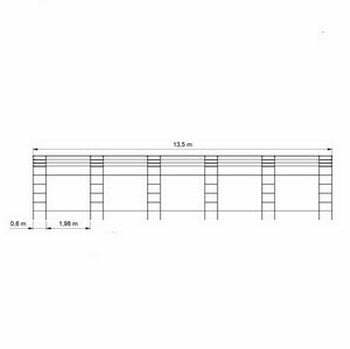 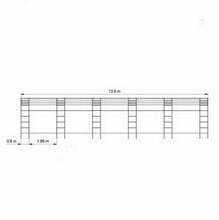 Standard size Ogee Garden Arches are also available.